In this episode of Nat Chat, I’m joined by Connor Grooms. Connor is a master of learning things quickly. When he moved to Medellin a couple years ago, he set out to learn Spanish in One Month, which he filmed and turned into a documentary which has nearly a million views on YouTube. He took what he learned from that endeavor and started a Spanish tutoring company called BaseLang, which combines the system he came up with and unlimited one on one tutoring with native speakers. He’s been entirely self taught for everything he’s working on, and now his company employs over 100 people. Connor is also pretty interesting because he dropped out of school almost as soon as he started. Once he landed his first design client he dropped out, moved to Asia, and hasn’t been living full time in the U.S. since. How to learn languages and potentially other things extremely quickly. The importance of having deep friendships. How college can cost you numerous opportunities in life and business. How experimenting and having fun projects can start a successful business or product. The importance of getting your genetics and blood tested for improved health. Why you should only focus on one thing at a time. Please enjoy, and reach out to Connor on Twitter! 1:36 – Intro to Connor. Him speaking about how he learned to speak Portuguese in a week and his core concepts for learning a language quickly. 5:20 – How Connor got inspired to learn languages rapidly and some advice from him on how to efficiently gain muscle mass as an ectomorph body type. 7:57 – Some other things Connor has learned very quickly, some info on his recent nomadic lifestyle, and the importance of deep friendships. 14:30 – Connor speaking about how he learned to be more open with his feelings, thus building stronger relationships with people. 17:17 – How Connor found the passion for extreme self-improvement and his advice for getting the lifestyle you want. 21:51 – What made Connor realize that college wasn’t for him and him speaking about how college can cost you a lot of good opportunities. 24:18 – How Connor got into design work, found his clients, and his recommended career path for those just leaving a university and who need to make money. 30:17 – Connor speaking about he he started his company Base Lang and how his company works. 32:16 – How useful experimenting and working on fun projects can be for creating a successful business or product. Connor and Nat are also speaking on the importance of focusing on one thing at a time here. 38:30 – Connor on how useful learning direct-response copy can be and some good books to read to learn copy. 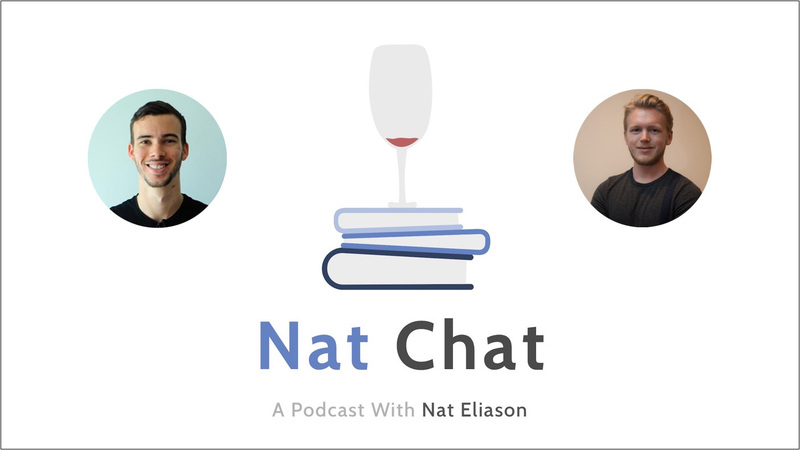 40:45 – Nat and Connor on learning to read research papers, their thoughts on prevalent false research, and the importance of learning more about your genetics. 46:52 – Connor speaking on doing regular blood testing and how it can help you improve your health. 51:45 – Connor on getting apprenticeships, some good skills you could learn for profit, and some advice from him on how to optimize your time with business projects. 57:53 – Wrap up and where to find Connor online.